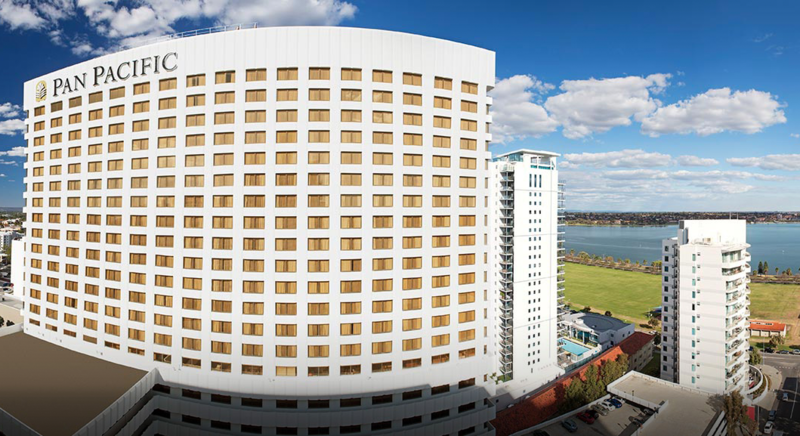 Conference accommodation will be at the Pan Pacific Hotel in Perth. We have negotiated a highly discounted rate with rooms starting at AUD 170 per night, which includes wifi and breakfast. NOTE - This offer is valid until 28 February 2018 or until the WUN room block is exhausted on a first come first served basis. Therefore, we strongly recommend booking early to get the best rate available. Pan Pacific Perth hotel rooms and suites offer the perfect place to start and end your day. Warm colour palettes and signature Pan Pacific service will make you feel right at home throughout your stay with us at the Pan Pacific Perth hotel.